Hyundai Creta is one of the best selling compact SUVs in the Indian market and in this article, we are featuring a customized Creta from Kerala, which is trying to look like Range Rover. 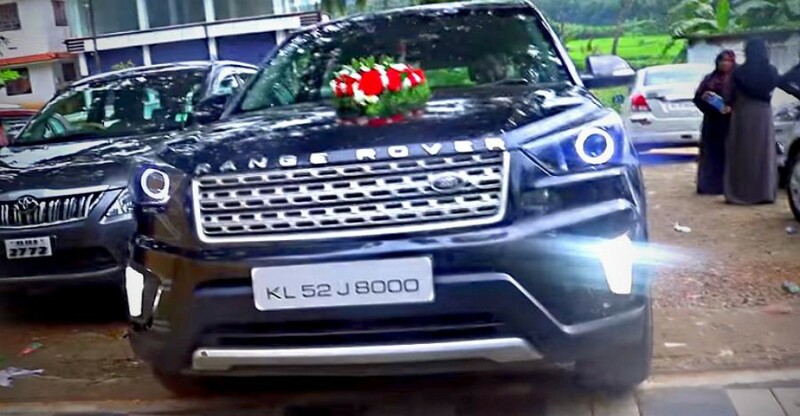 The stock grille of Hyundai has been replaced by new Land Rover grille with Range Rover badge on top of it and angel eye LED DRLs with projectors. The stock fog lamps have been replaced by new LED lights. The customized Hyundai Creta also comes with aftermarket alloy wheels finished in black colour and low profile tyres for sporty look. The rear also gets Range Rover badge and smoked tail lamps, which rounds of the exterior changes. The changes for interior are not known yet and we can expect some tweaks like new leather seat covers. All badges have been removed, so we can’t identify whether this is petrol or diesel model. Apart from wheels, the mechanical parts are expected to be carried over from stock Hyundai Creta. The stock HyundaiCreta comes with lots of features like touch screen infotainment system with Apple CarPlay and Android Auto, climate control, cruise control, push button start, key less entry, reverse camera with parking sensors, cooled glove box, rear AC vents, wireless charging and more. Hyundai is offering three engine options with Hyundai Creta – two diesel and one petrol. The 1.4 L diesel engine produces 89 bhp of power at 4,000 rpm and 220 Nm of torque at 1,500 rpm. The 1.6 L CRDi unit puts out 126 bhp and 260 Nm, these engines are mated to 6 speed manual and automatic available only with 1.6 L diesel engine. The 1.6 L petrol engine puts out 122 bhp of power at 6,400 rpm and 151 Nm of torque at 4,850 rpm. This engine is mated to 6 speed manual and auto. Hyundai Creta is priced between Rs. 9.43 lakh and Rs. 15.03 Lakh (Ex-Showroom, Delhi) and competes against Renault Captur and Honda BR-V.